Artzvi Vaspurakan was published at a time when other Armenian newspapers, such as Hayrenaser (Izmir) and Masis (Istanbul), well into the end of the 1850’s, were often publishing information about recent events in the New World (the Americas), China, or India; they rarely had any information from Van, Erzurum/Karin, or the other Armenian regions of the eastern Ottoman provinces. Gerard Libaridian has argued that for most Armenians residing in the urban centers of the Ottoman Empire, the progress that they envisioned for the nation was to take place largely among Armenians in Constantinople, while “historical Armenia was a foreign place, and outpost to the empire.” Among urban Armenians, Hayastan (Armenia) represented a provincial place and Hayastantsi (a person from Armenia) therefore a provincial identity. Meanwhile, Armenian literati in the Russian Empire had a culturally based understanding of Armenian identity. Lisa Khachatourian, in her analysis of Stepanos Nazarian (1812-1879), the Russian-Armenian intellectual and publisher of the periodical Hyusisapayl (1858-1864, Moscow), posits that in the mid-19th century, while Armenian literati were discussing Armenia as a geographic place, a territorially based national identity developed only after Nazarian’s generation and that of his famous colleague Mikael Nalbandian (1829-1866). Thus, it has been argued that up until the second half of the 1800’s, Armenian identity embodied mostly linguistic, religious, and rather localized notions. Khrimian, quite ahead of his time, aimed to make “Armenia” a core notion among Armenians. In order to better understand the reasons behind such a goal, his writings have to be considered in the reform-driven environment of the era. Particularly since the 1840’s, a number of institutional changes occurred in the Ottoman Empire within both the Armenian and the larger Ottoman contexts. Beginning in 1839, the Ottoman state increased its presence and involvement in the provinces as it tried to centralize its power and implement the Tanzimat (reforms). The centralization of the state was necessitated particularly by the need to raise more money. Consequently, through an Imperial Edict passed in 1840, the Armenian Patriarchate acquired greater financial responsibilities towards the state. Furthermore, “Armenian churches, monasteries, and other religious properties, which had been hitherto exempted from imperial taxes, became taxable.”  The patriarchate now needed to increase the revenue from its empire-wide properties and subjects, which were mostly concentrated in the eastern vilayets. This would be realized with the centralization of the patriarchate, by reorganizing the hierarchy of its administration, finding a balance among the Armenian millet’s ecclesiastical and secular councils, and redefining its rights and responsibilities. In this process of centralizing and balancing of powers, just as the Ottoman state faced resistance by the local power holders of the provinces, defiance also arose among Armenian secular and ecclesiastic power-holders in Constantinople and in the provinces. Khrimian attempted to overcome such resistance, and this is reflected in Artzvi Vaspurakan. Before turning to the contents of the journal, a few words are due about the authors, editor, and subscribers of the journal. The way Artzvi Vaspurakan was produced and where it was produced contributed to elevating the importance of the notion of a fatherland. Khrimian’s experiences explain some of the logic behind the content of the journal, as well as the reasons it was produced in a particular manner. Mkrtitch Khrimian, also known as Khrimian Hayrik (Father), was born in the city of Van, the son of a merchant. 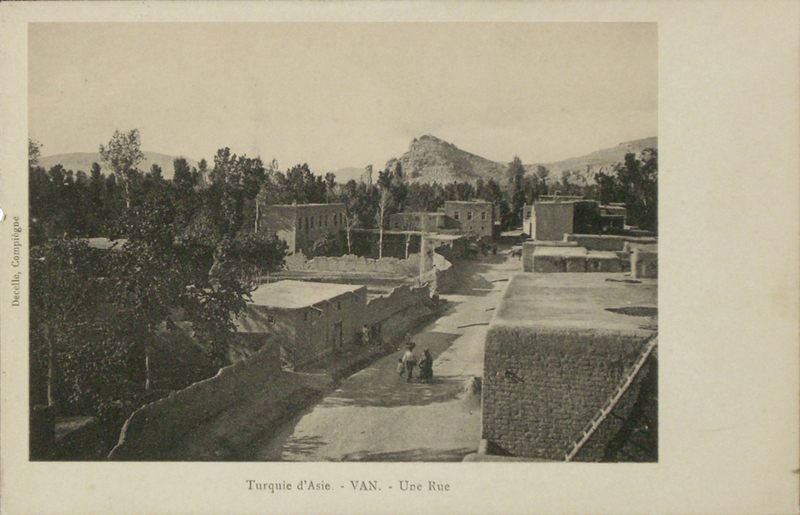 As no formal schools existed in the 1830’s in Van, Khrimian mostly relied on self-education. He also received some informal education when he stayed at the monasteries on Lim (present-day Adır) and Ktuts (present-day Çarpanak) islands. In the 1840’s, he toured Vaspurakan quite a bit, and witnessed the dire socio-economic conditions of the region, but also its scenery and monuments. Afterwards he traveled to Constantinople, where he stayed until 1846. Upon his return to Van he got married, but soon after, in order to avoid recruitment, he went to Iran, and eventually to Alexandropol (present-day Gyumri) and Ejmiatzin. 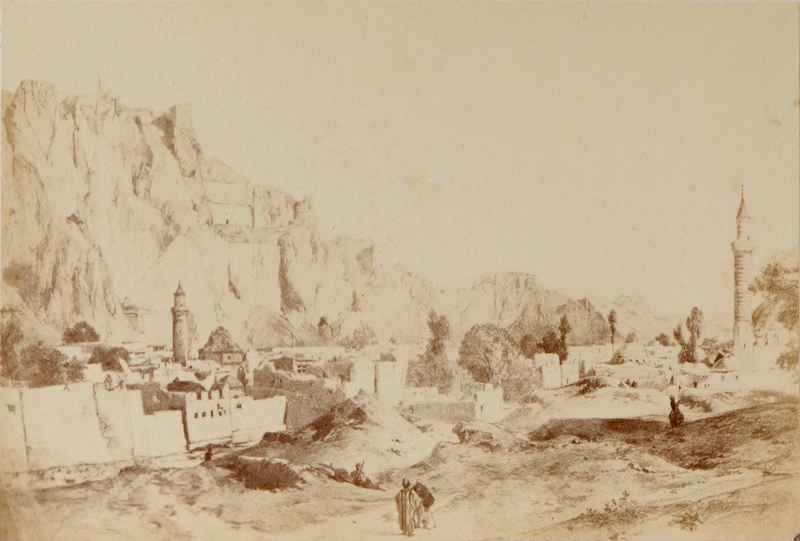 In 1848 he traveled to Tiflis (Tbilisi), then Batumi, from where he left for Constantinople and then Jerusalem. The contrasts he saw between Vaspurakan and the more developed cities he visited surely left a strong impression on him. Khrimian became acquainted with Armenians in different parts of Iran and the Ottoman and Russian empires, and came to be aware of the wide gap that existed between the various Armenian communities. This prompted his commitment to erase such a gap. While residing in Constantinople, he became known as a good storyteller—the Narrator of the Pains of Armenia—who often expressed his love and compassion for Armenia. At a rather young age, in 1848, he wrote the poems “Hravirak Araratian” (Invitation to Ararat) and “Hravirak Erkrin Avetiats” (Invitation to the Promised Land), which showed his compassion for the fatherland of Armenians. The expression of such sentiments towards the fatherland became the main mission of the monthly periodical Artzvi Vaspurakan. In addition to his personal experiences, in Constantinople Khrimian became well acquainted with the reforms that the patriarchate intended to carry out in regards to education. Soon Khrimian, who in 1851 had been given the task of evaluating the level of education in Cilicia and finding methods to improve it, became one of the shapers of these reforms. Upon his return to Constantinople, Khrimian began to teach female students at the newly established Khasgyugh. As will become evident in the analysis of Artzvi Vaspurakan, such experiences made him an ardent believer in the necessity of education, and specifically of women’s education, for the progress of Armenia. By the time Khrimian returned to Van in 1853, he had no immediate family left, as his wife, daughter, and mother had passed away. From then on he fully committed his life to Armenia: its church and its people. The next year, he was ordained a celibate priest (vardapet) in the Monastery of Akhtamar, located on an island of Lake Van. Soon after becoming a priest, he returned to Constantinople. There he raised money and bought a printing press, and in 1855 began to publish the periodical Artzvi Vaspurakan, with the permission of the Sublime Porte  and the patriarchate. 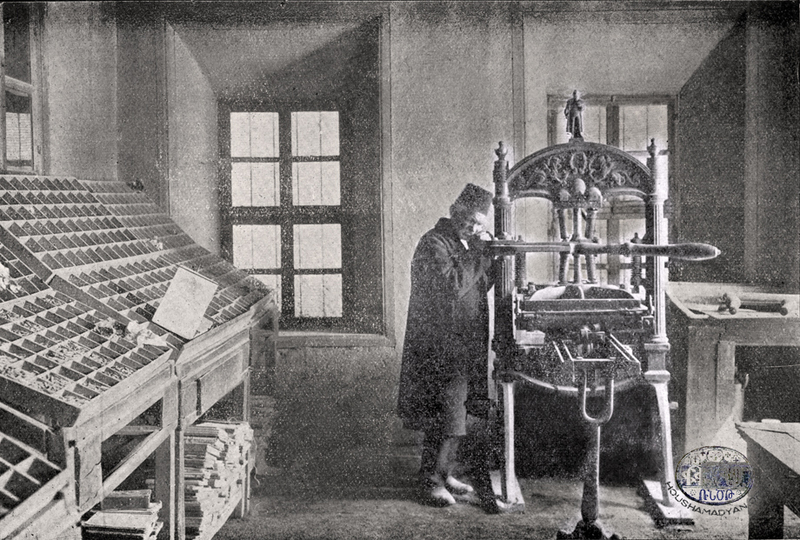 A year later, with the printing press and a few colleagues, he traveled back to Vaspurakan, where he continued to publish the journal. 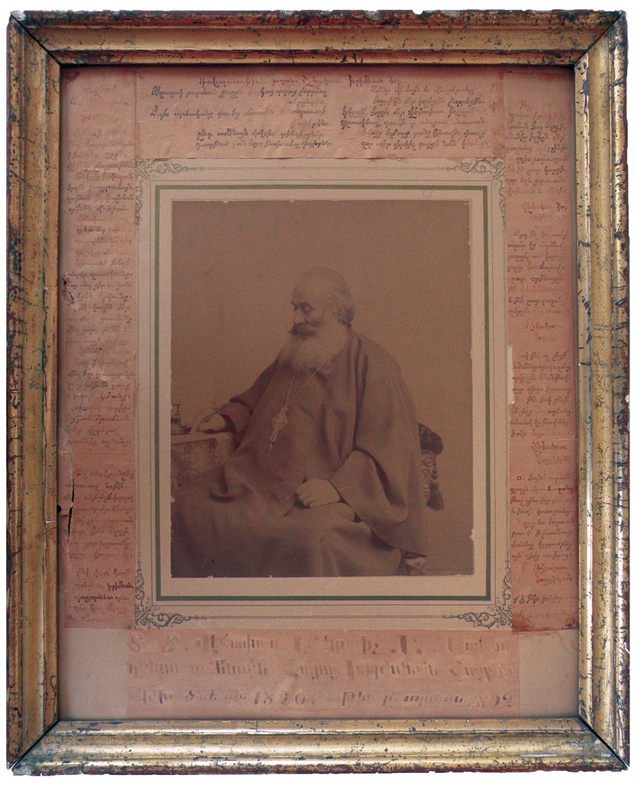 By the imperial edict of the Sublime Porte and the decree of the Armenian Patriarchate, in 1857 he became the Vardapet of the Monastery of Varag in Vaspurakan, where he opened the all-male Zharangavorats boarding school, which supported 25 students. 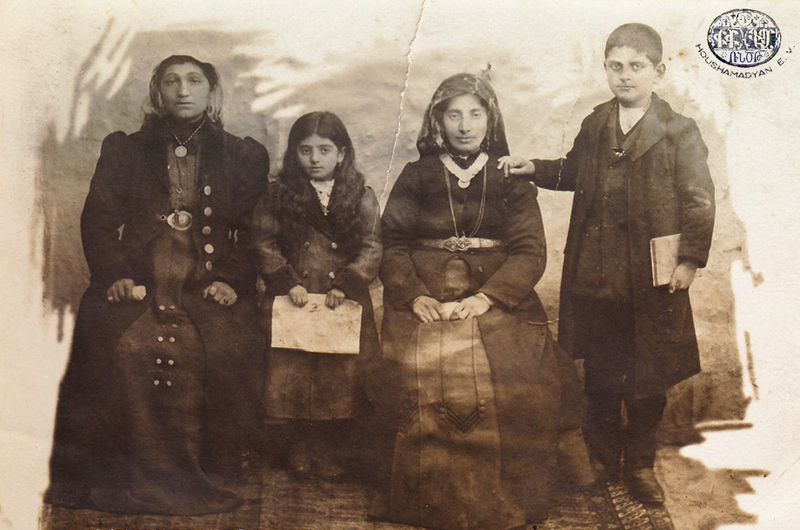 Students of Zharangavorats came from different Armenian communities and not just from Vaspurakan. With the contribution of the students and teachers of the school, the monthly journal thrived. For once, Armenians from around the empire were meeting and working with each other not in Constantinople, but in Varag. Among the teachers of the Zharangavorats School who wrote extensively for the journal in the 1850’s was Tigran Galpakjian, who had moved from Constantinople to Vaspurakan with Khrimian. Another teacher and later co-editor of the journal, Garegin Srvandztiants (1840-1892), began to contribute to the periodical after 1860. Srvandztiants was born in Van in 1840. He began his studies at the school of Haynkuys in Van and later continued his education at the Varag Zharangavorats School. During his years in Varag, Khrimian had become Srvandztiants’s mentor, and similarities can be detected in their lives and writing styles. Similar to Khrimian’s work, through topography Srvandztiants revealed the stories of famous figures of Armenian history, wrote about national traditions, and constructed Armenia as the fatherland of Armenians. In 1862, along with Khrimian he moved to the prelacy of Taron (northwest region of Lake Van) at the St. Karapet Monastery. Here Srvandztiants became the editor of the new periodical Artzvik Tarono (The Little Eagle of Taron; 1862-1865). In 1869, when Khrimian was elected Patriarch in Constantinople, Srvandztiants was ordained the priest at the St. Karapet Monastery in Taron. Eventually, Garegin Srvandztiants became famous for recording the epic of Sasun of Davit, which has been readapted by many writers after him. He also recorded other folk songs, folk stories, and variations in dialects. Among his works are “Manana” (1876) and “Grots Prots” (1874), “Toros Aghbar Hayastani Chambord” (1879), and “Hamov Hotov” (1884). In addition to Artzvi Vaspurakan, Srvandztiants wrote in such periodicals as Meghu (Tiflis), Manzume-i Efkar, and Masis (Constantinople). 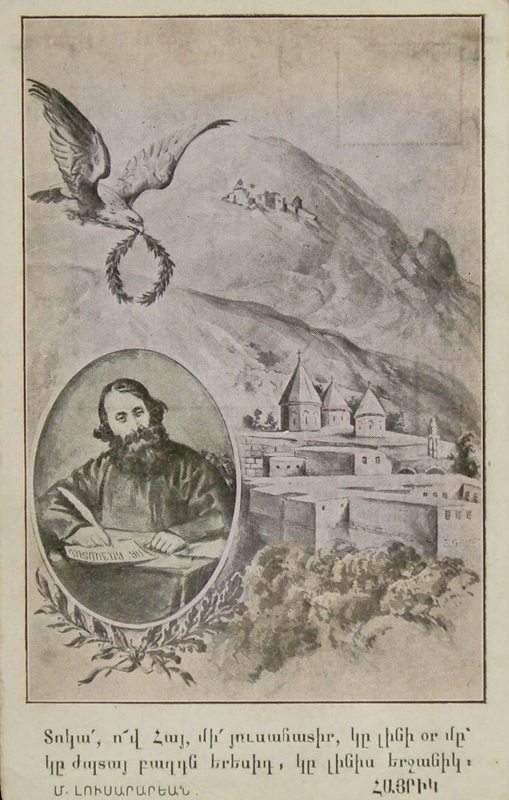 That Khrimian and Srvandztiants preached, worked, and traveled, and their writings were published not just in Vaspurakan but also in other Armenian-inhabited areas throughout the Ottoman and Russian empires, contributed to the enhancement of an “imagined community.” With their emphasis on Armenia, they contributed in making Ottoman Armenia, particularly, into one of the symbols that Armenians increasingly shared. The submission of written pieces to Artzvi Vaspurakan involved individuals from different regions. From within Armenia, contributions came from Erzurum/Karin, where a new school and publication had been founded in 1858. Artzvi Vaspurakan announced this school and in subsequent issues included translations from French undertaken by students of the school. With his belief in the importance of educating women, Khrimian also encouraged the participation of women in spreading enlightenment principles. Thus, in multiple issues the contributions of two sisters from Shumnu, now located in Bulgaria, also appeared in the journal. Others wrote from outside the reaches of the Ottoman Empire. In Iran, Hakob Mirzayants Melik Hakobiants, who would become the famous writer with the penname Raffi, mainly managed the dissemination of the journal. On multiple occasions he wrote letters to the editor of the journal, who published excerpts. Raffi’s writing first appeared in the April 1858 issue. 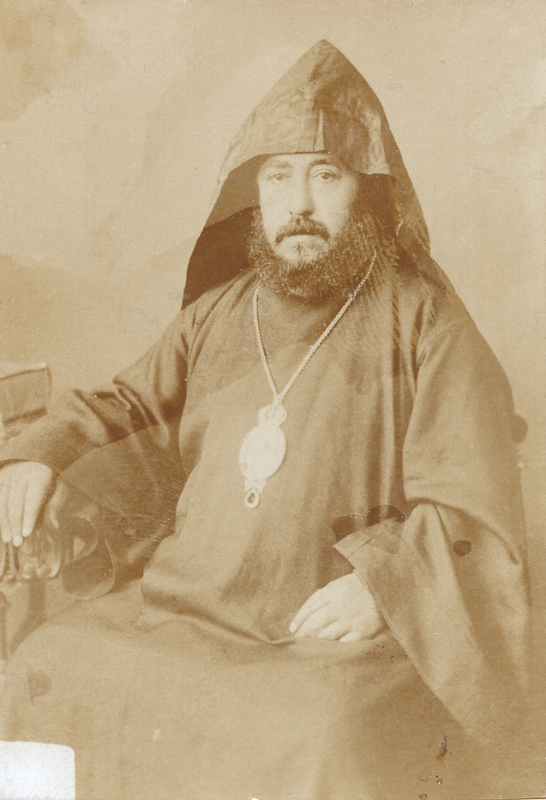 Although his letters harshly criticized ecclesiastical figures and the passivity of the Armenian Church in advancing the social conditions of its people, Khrimian nevertheless published them. Raffi also visited Varag and promoted the work that was being undertaken in Hyusisapayl and then in his novels, which inspired many of the Armenian revolutionaries of the 1890’s. Another consistent contributor was Petros Hovsepian Madrateants Seyad of Shamakh,  who often wrote poems dedicated to Armenia. The editor of the journal never missed the opportunity to mention the origin of the authors of the published pieces, thus raising the inter-community sense of this journal. Similarly, every issue mentioned where the journal was distributed and who managed the distributions. By 1858, the journal was being disseminated to Van, Erzurum, Bitlis, Constantinople, Smyrna (Izmir), Trabzon, and Salamast, Iran. Later the distribution expanded to Mush, Tiflis, Gandzak (Elisavetpol, present-day Ganja), Karabagh, Alexandrapol, Nor-Bayazit, Yerevan, Nakhijevan, Verin and Nerkin Agulis, Salamast, and Tavriz. The main funding sources for Artzvi Vaspurakan came from the income of its sales, but also from individuals; the long list of donor names were sometimes provided in the journal. Money was necessary not just for the journal, but also for the upkeep of the school. 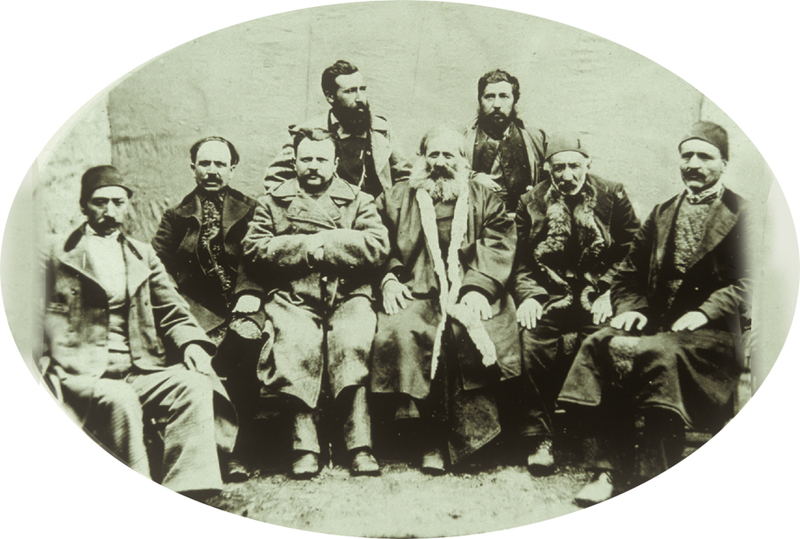 To raise funds and enhance relations with Armenians of the Caucasus, in 1860 Khrimian, with a number of his students and colleagues, including Garegin Srvandztiants, traveled there. 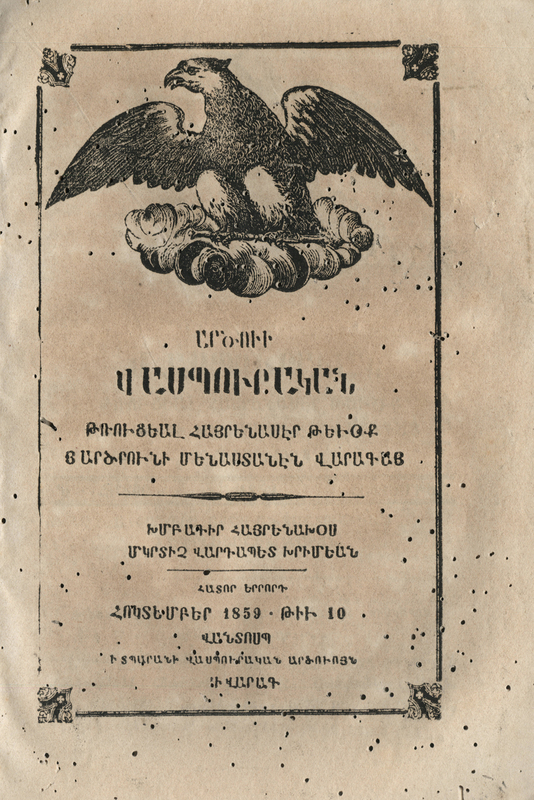 Thus, in the 1860’s, to build a connection with Armenians of Russia, many of the articles were dedicated to representing the Armenian communities in the Caucasus. Khrimian’s efforts to consistently mention the origin of the journal’s contributors, its wide distribution, and its donors indicate that he hoped to show that the project in Varag interested Armenians from different regions and could be realized only with their collective work and efforts. At the same time, he also had to engage Armenians from different communities, which shaped the content of the journal, as will be shown below. Khrimian’s experiences outside of Vaspurakan had allowed him to make this local project an inter-community project by involving students, teachers, writers, donors, and distributors from different Armenian communities. The process of producing and distributing the journal in itself became one of connecting Armenians across empires. Having Varag as the crossing point of these interactions raised the centrality of Armenia among Armenians of different places and related them to one another throughout this territory. Various pieces in the journal often represented Armenian statesmen and religious figures of the past through scenes of the fatherland. Other writings included short stories, proverbs, and discussions on morality, as well as copies of manuscripts found within the depicted areas. Religious symbols and themes were present in the majority of the articles. In the next few pages, and through a close analysis of the content of the journal Artzvi Vaspurakan, I will discuss how Khrimian raised the significance of Armenia through topography, and how and why he mapped it. I will use Leontis Artemis’s definition of topography; she views it as a process that “requires the persistent return to history, the systematic unearthing of ruins, the conscientious recovery of traditions, and, generally, the reactivation of an inherited past.”  Through an analysis of the topography, I will ask the following questions: What did Khrimian imagine Armenia to be? How did he try to convince Armenians that progress among them should occur on the lands of Armenia, and they should focus their efforts on this land? Why did it become necessary to redirect the attention of Armenians on Armenia? Khrimian developed the idea of contributing to progress through Armenia’s topography, which he constructed through the personification of Armenia as ancient, holy, and fertile, as well as by animating the lieux de mémoire (sites of memory). Progress could include the building of new sites, reconstruction of old sites, advancement of education, agricultural improvements, publications, banks and associations to meet the needs of the local inhabitants. In Artzvi Vaspurakan, Khrimian represented the lands and architectural structures based on his own observations, on oral histories, and on historical accounts of early writers of Armenian history, such as Movses Khorenatsi and Tomas Artsruni. 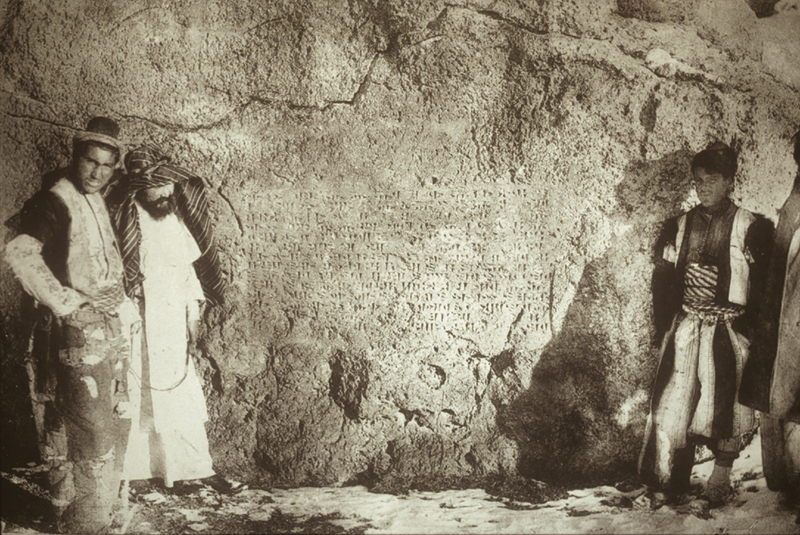 To provide a genealogy of churches or monasteries, Khrimian relied on manuscripts or inscriptions that he found on the walls of or within these buildings. He was, however, selective with the sites he mentioned and spent more time on constructing a memory of certain sites, to link traditions to it and reactivate its past. He often selected lieux de mémoire that would help him provide examples of patrons, resisters, educators, and builders, in an attempt to encourage Armenians to reinvent themselves with these characteristics and to stay on their ancestral lands. Khrimian’s primary aim was not to introduce the reader to the region, but rather to voice his concerns and expectations for the future of the Armenian nation through the memory of a past reconstructed with the aid of visual sites from the present. To reactivate this brighter past and to emphasize the ancientness of Armenia, Khrimian made particular use of the character Shamiram (Semiramis), who Armenian legend presents as a notorious and lustful Assyrian queen that fell in love with Ara, the forefather of Armenians, and conquered Armenia to possess him. Khrimian re-introduced Queen Shamiram with adaptations from Khorenatsi’s History of the Armenians, but also through oral accounts and his own imagined connections between Shamiram and the sites he represented. Despite her notoriety in Armenian tradition, Khrimian presented Shamiram mostly in a positive light. 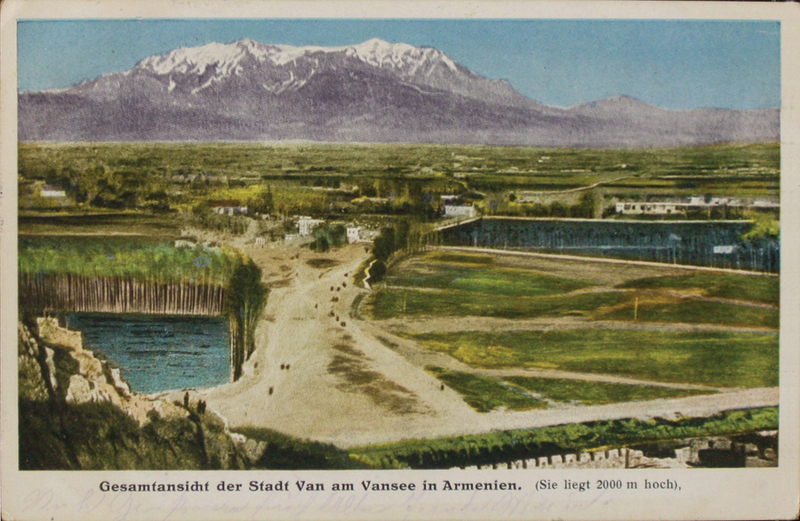 In Artzvi Vaspurakan, Armenia also became Shamiram’s beloved. Khrimian wrote that while traveling in Vaspurakan, Shamiram liked the healthy air of the region of Van and decided to build a summer residence there for herself, and ordered that her men be brought to this “desired spot.”  Influenced by Khrimian, a student of Zharangavorats wrote a poem dedicated to Vaspurakan, and directed Shamiram’s love for Ara to her love for Vaspurakan: “Oh Vaspurakan the Great Queen Shamiram liked you […] / The tasty sources of your green fields seized the heart of the Assyrian.”  With these lines a romanticized conception of Armenia was being cultivated, a necessary component for a territorialized imagination of the nation. Referencing Khorenatsi, Khrimian wrote that after being attracted to Vaspurakan, the Assyrian queen founded the city of Van, and built an aqueduct to protect the city in case the river overflew in the spring. Thus, Shamiram’s name was connected to a famous stream in Vaspurakan, and an alternate name for the city of Van was also Shamiramakert (Carved by Shamiram), which Khrimian used extensively. He also depicted the caverns of Van and suggested that Shamiram may have founded Van from the northern part of the cavern’s citadel. The middle cavern was likely made into the crown or royal residence. Khrimian identified other caverns, saying they may have been where the treasures of Shamiram were stored. Still other caverns, according to oral stories, were likely her bath or where the grain was prepared. With such detailed depictions, Khrimian exposed his readers to Shamiram’s daily life and material world, allowing them to imagine her alive, and to also see how much progress, in terms of buildings and infrastructure, had occurred in Vaspurakan since ancient times. Khrimian related the legend of Shamiram to other sites in Vaspurakan in addition to Van, like Lezk (present-day Kalecik) and Artamet (present-day Edremit). During the war, against the will of the queen, Ara the Beautiful was killed. The wise queen, who loved the ruler of Armenians, to soothe the anger of the strong soldiers, deviously built a large statue, which she named Aralez, and raised it on a rocky mountain towering over the village Lezk. Then she spread news that this new (un)God, by licking Ara’s wounds, had brought him back to life, and here he was next to her fulfilling her desire. Although Khrimian does not explain this, to an Armenian speaker the implication is clear—the name Lezk seems to be related to the Armenian words lezu (tongue) and lzel (lick). In regards to another village, Khrimian wrote that Queen Shamiram, according to a local legend, had used her long hair like a bow and arrow, and thrown a large rock from the castle to the village Artamet, where Khrimian saw the rock. However, Khrimian dismissed this myth, suggesting instead that it had been an impediment on the road, and that Shamiram had ordered its removal. Such animated depictions of Shamiram and her actions within different villages of Vaspurakan brought the ancient times back to life, and increased the credibility of the connection of the sites to those times. Although Khrimian could have highlighted the Armenian builders of Van, he chose instead to emphasize Shamiram for her ancientness. For example, he recounted how in 355 B.C.E., the forefather Van; in 143 B.C.E., Vagharshak of the dynasty of Arshakuni; and in the 9th century C.E., the Artsruni dynasty, had consecutively rebuilt the city. But Shamiram’s story, which was so ancient that it had no dates attached to it, remained the central theme. Khrimian’s preference of what was ancient is apparent in his persistent use of Shamiramakert as opposed to Van. In the 19th century, not just Khrimian, but European travelers and writers, such as the French poet and statesman Alphonse de Lamartine (1790-1869), whose works were translated in Artzvi Vaspurakan, also valued what was ancient and used topography to depict the Hellenic world. This means that Armenians, who were educated and had read translations or the originals of contemporary European literature, also cherished what was depicted as ancient. By reviving its ancientness, Khrimian attempted to attract educated Armenians—most of whom resided in Constantinople, Smyrna, or Tiflis—to Armenia. Khrimian’s inclusion of Shamiram in the depiction of the sites provided him with a few other benefits. With Shamiram’s movement within this space, the land grew more concrete and filled with more substantial time: a time when significant progress was made. Throughout Shamiram’s era, “the space gains more real, living meanings, and forms a crucial relationship with the hero and her fate.”  Khrimian was not trying to create a landscape, a “nature conceived as a horizon (what a man sees) and as the environment (the background, the setting) for a completely private, singular individual who does not interact with it.”  Rather, he was allowing the reader of Artzvi Vaspurakan to visually imagine Shamiram, moving through the caverns, her army digging the caverns, building the stream, moving the rock, etc. When discussing concrete sites, Armenia for Khrimian was not a geographically carved-out territory with specific boundaries. The regions he visited and introduced included villages that were Muslim, and spaces that were shared by people of different religious and ethnic groups. Yet, he chose to represent only that which could be related to Armenians; he only wrote about mosques that had some connection to Armenians, and rarely mentioned mosques and Muslim sites that presumably existed in the area. For example, when representing the city of Van, he mentioned the existence of four mosques, but only discussed Ulu Cami, as the former church of St. Sion built by Gagik Artzruni, and Hurshin Cami, which he depicted as a wonderful mosque that Armenian craftsmen had elegantly built with their own hands. Twice he mentioned that this church had been turned into a mosque. In a later issue, he pointed to a tower outside the walls of Van that was built by stones with Armenian inscriptions on them. He concluded that at some point, there had been a church in the area, and Muslims had built that tower with the original stones of the church. Through these lieux de mémoire, Khrimian accentuated the losses of an Armenian past, raising urgency for preservation. He also showed that Armenians had built and produced on this land, indicating that they had the gift for effecting progress in Armenia. Realizing that many in the more developed and richer cities outside of Armenia would not be attracted to the underdeveloped conditions of their fatherland, and would therefore neither visit nor invest in it, Khrimian introduced parallels from the past. In an article where he introduced the forefather Hayk, who, according to Movses Khorenatsi’s narrative, was the son of Torgom, a great grandson of Noah, Khrimian wrote that Hayk was attracted to the modest dinner tables of Noah rather than to the extravagant tables of Babylon. He preferred to live in the cold north, where God existed, rather than the hot, idolatrous, and Godless south. Here, Khrimian implied that something more modest, holy, and therefore more akin to his sense of morality existed in Armenia; for, although conditions may have been better in cities such as Constantinople, something more heavenly existed in the simplicity of Armenia and had attracted the forefathers of Armenians there since ancient times. Khrimian also depicted Armenia as the Chosen Place. He wrote that God had selected this beautiful and heavenly part of the earth, and had distributed it to the sons of Hayk so that they would cultivate the land and enjoy its plentiful benefits. Then he connected this holiness to agricultural production by pointing out that Europeans, with their education and intelligence, were able to produce much more, although their lands were not as fertile as those of Armenia. He thereby also implied the significance of education, and he lamented the circumstances of Armenia, saying that Armenians had neglected these soils that grow gold. He wrote that God loved the Jewish nation, but to Armenians, instead of a dry and sunburned climate, he had offered a pleasant country. Khrimian called upon Armenians to wake up since “God has loved you twice more, and will love you if you” overcome ignorance and work to become more wise. Whereas to attract his people’s attention he depicted Armenia as a God-given place, he also chose to emphasize the fertility of this land as well as the importance of education. Even though this photograph was taken almost half a century after the publication of Artzvi Vaspurakan certain connections are apparent. 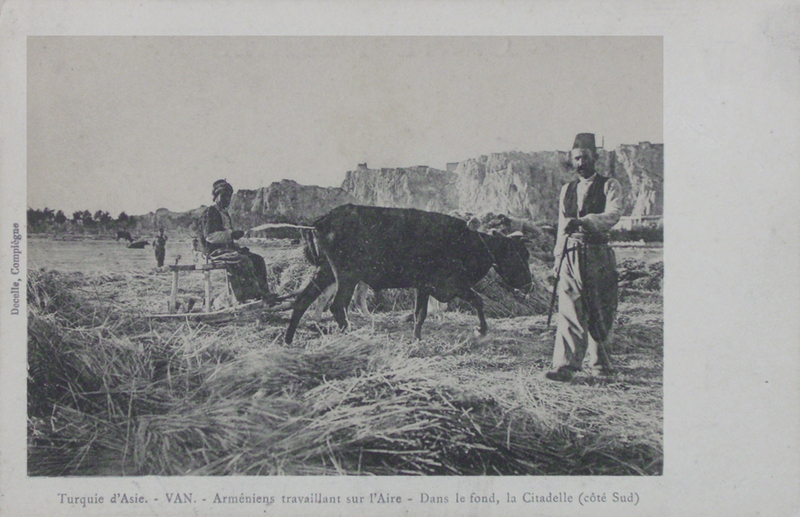 Fragments of Khrimian’s ideology are apparent in the way that this family from Van has been represented in this photograph. For example, the daughter of this family—Khushush—holds a journal in her hands at the center of which an eagle is present. This means that the journal is either one of the issues of Artzvi Vaspurakan or another publication influenced by Artzvi Vaspurakan. By representing the younger generation members of the family with a journal and a book, the photographer intended to emphasize the importance of the educating children and youngsters, as Khrimian would have done as well. Both in Artzvi Vaspurakan and in this photograph the importance of educating women is emphasized. Finally, the name of the young girl in this picture is Khushush, which corresponds to the name of Khushush Hatun—the tenth-century historical figure known as the daughter of King Gagik of the Bagratids and the wife of King Senekerim of the Artzrunis, who is impersonated in Khrimian's writings in Artzvi Vaspurakan. This suggests that the historical figure was not only known to literate people but was also present in the contemporary non-literary culture. The topographic examples above show that little to no sense was given of the present life in the depicted locales. Apart from some rudimentary demographic information and a few notes about the economy of a particular village, characters from the past, rather than people and their lives in the present, were used. In moments when Khrimian mentioned present conditions, he still referenced the past. For example, when telling of the fertile fields in the village Dzuastan (present-day Elmalık), he wrote, “but the Kurdo-Muslims are enjoying these gardens, having long ago appropriated them”; immediately after, he wrote that the water of the Shamiram Canal also watered these gardens. By including the name of Shamiram, Khrimian emphasized the ancientness of this land, raising its importance and intensifying the regret over its loss. 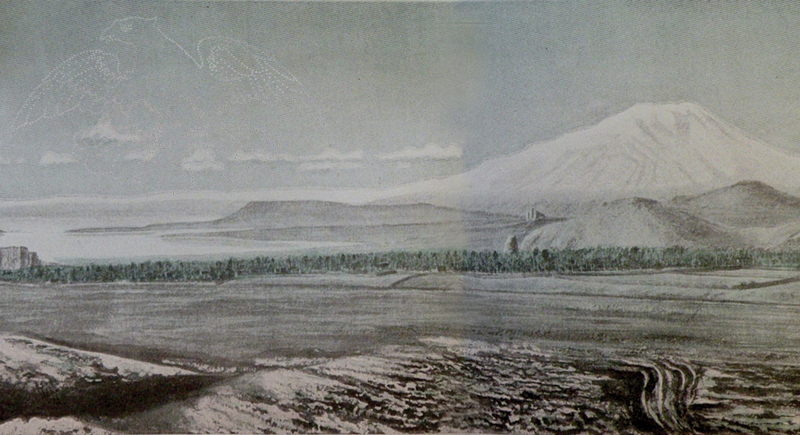 As was shown above, to attract people to Armenia, Khrimian depicted it as ancient and holy, and reactivated it through Shamiram’s story, but his practical goal was to encourage people to go to Armenia, stay in Armenia, and work to bring progress to Armenia, especially in the fields of education and agriculture. In addition to emphasizing the overall fertility of Armenia, Khrimian pointed out which villages in particular had fertile and uncultivated lands. For example, he depicted the villages of Ghurubash (Kurubaş), Nor (present-day Yolaşan), Koghbants (present-day Sarmaç), and Shushants (present-day Kevenli) as mountainous and consisting of wide fields. He posited that if the craft of agriculture was applied to these territories, significant profits could be derived from them. Agricultural production was one of his central concerns. In the 19th century, agricultural production in Europe had increased due to the innovations of the industrial age. As a result, imports from Europe to the Ottoman Empire had also increased, and had, in turn, decreased the value of the agricultural goods produced in the Ottoman Empire. This, in addition to multiple Russo-Ottoman wars, local conflicts, and the subsequent transformation of social structures, had increased the migration of Armenians out of the eastern Ottoman provinces. With decreased income and population among Armenians, fewer agricultural lands were being tilled, resulting in fewer tax revenues for both the Sublime Porte and the patriarchate. Khrimian wanted to reverse this process, and therefore constantly wrote about the fertility of the lands in Armenia, and encouraged people to work and produce on these lands. The income from cultivated lands was needed not just for tax-collection purposes, but also for the maintenance of churches and monasteries, and the establishment and upkeep of schools. For a long time, however, such income had been diverted to the pockets of Armenian notables. This Khrimian knew from experience: When he was ordained priest of Varag, he took control of the lands of the monastery, made sure they were cultivated and that the revenues would go toward the maintenance of the monastery and the school. But the Armenian notables who had benefited from the revenues of the monastery opposed Khrimian in these reforms. 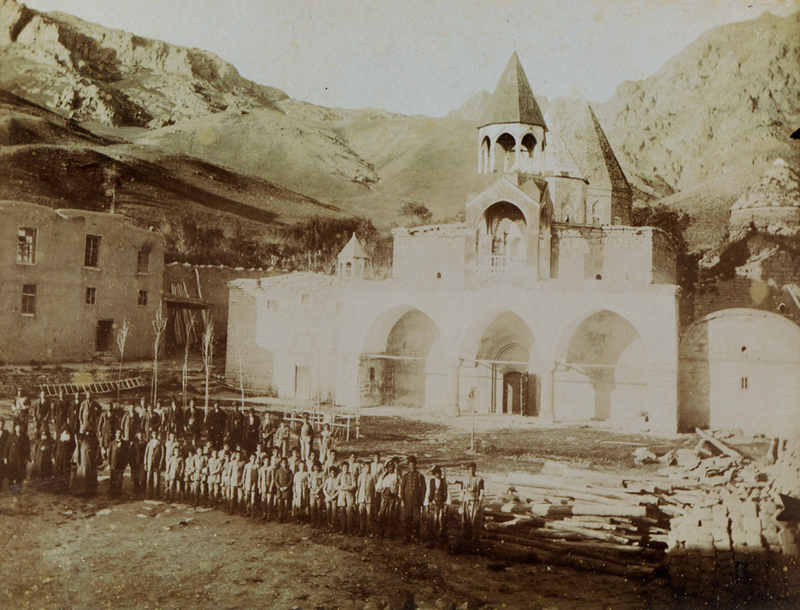 In 1862, Khrimian moved to the St. Karapet Monastery in Taron and initiated a similar project. St. Karapet Monastery had significant income and received donations; yet, most of it went in the pockets of the monastery’s monks and a number of the local, rich Armenians. When Khrimian moved to the monastery, he established an economic council that would redirect the funds to other projects for the community–a move that gained many opponents who found themselves without their former incomes. Khrimian not only faced opposition in the monasteries where he was based, but in other places as well. The clergy in Akhtamar was completely against his efforts to improve education and bring in innovations to Vaspurakan. The Vartapet of the Monastery of Narek had also opposed Khrimian. Opposition was so strong against these attempted reforms that Khrimian’s enemies reportedly attempted to assassinate him. To alleviate this opposition, Khrimian had to change the mentality of the many local power-holders. In addition to persistence, Khrimian cultivated a memory of resistance. 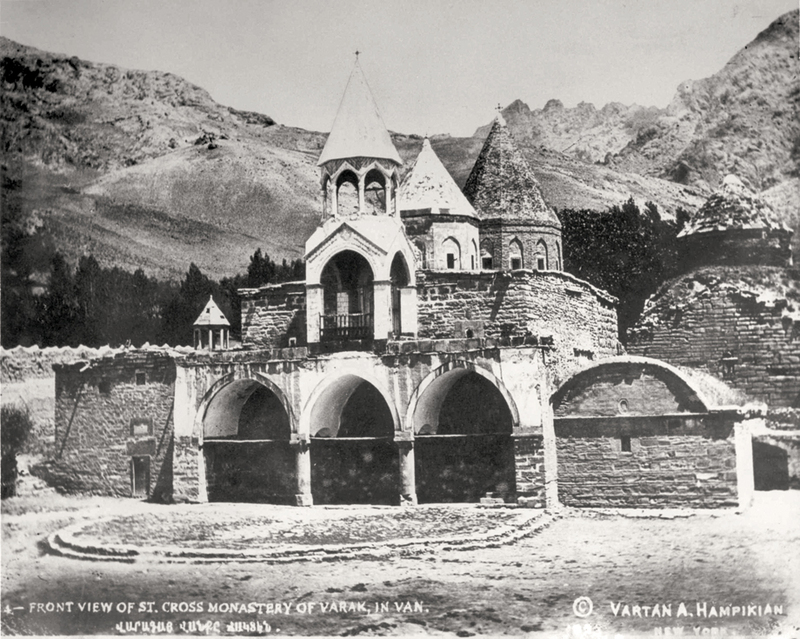 He elaborated on the history of the Church of St. Vardan, which Shushanik (the daughter of a major historic figure in Armenian history, Vardan Mamikonian)  had built in memory of her father. Through this site, Khrimian praised Vardan Mamikonian for having protected Armenian Christianity against the Persians, and ended this section in Artzvi Vaspurakan by begging God to provide more Vardans who would protect the Orthodox faith and nation. Here, he cultivated a memory, which through Shushan emphasized the building character, and through Vardan the resistance character, of Armenians. And he called upon his readers to struggle like Mamikonian against those who would try to convert Armenians. One cannot assume, however, that by resistance Khrimian meant rebellion against the Ottoman state or Muslims. What Khrimian meant by resistance remained ambiguous throughout his life and afterwards for historians. Despite implying the need for resistance in both his sermons and writings, when the Armenian Revolutionary Federation (ARF) and the Social Democratic Hentchakian Party began their struggles in the 1890’s, Khrimian “refused to support any of the organized revolutionary activities or groups.”  At the very least, one can interpret Khrimian’s resistance as simply individual resistance, carried out to preserve the Armenian language and traditions, and reject conversion to Islam, as well as to Protestantism and Catholicism (as missionaries of the latter were becoming increasingly successful at converting Armenians). Khrimian was well aware of this issue; in 1851, he had written a pamphlet entitled “Against Papacy,” in which he strongly criticized those who worked for the pope in Rome. Apart from his patriotic and religious dedication in preventing Armenians from converting, a converted Armenian, whether to Catholicism or Islam, also meant one less subject of the Armenian Patriarchate. By the time Artzvi Vaspurakan was published, the Protestants had gained a nominal millet status in the empire, while the Catholics had an official millet status. The Armenian Patriarchate increasingly perceived the urgency to establish educational institutions to counter Protestant schools and colleges that had been founded in various regions of the Ottoman Empire. Attending a Protestant school would often mean conversion to Protestantism, which meant fewer subjects of the Armenian millet, thus decreasing the financial and representative powers of the millet. These schools often received financial support from foreign countries. The Armenian Church did not have this benefit, and therefore had to raise money from within the Armenian communities. To prevent conversion, then, the patriarchate also had to provide education, which it had begun to do, as in 1851 when the Patriarch sent Khrimian on an education mission to Cilicia. In another piece, by giving the example of Davit Anhaght, an Armenian philosopher of the 5th and 6th centuries, he promoted Armenia’s role in producing wise people. He recounted how Davit Anhaght had gone to Athens to receive an Hellenic education. There, he took part in—and won—an intellectual competition with other Greek philosophers . Khrimian immediately related this victory to Armenia, and blessed and praised the “sweet air and sweet water and soil” that raised such strong minds. Finally, Khrimian praised Davit Anhaght, who knew Hellenic literature well, but also knew to respect his own nation and patria, where he was born and raised. For that reason, Davit Anhaght returned to the beautiful lands of his patria and continued to work for the enlightenment of those lands. Khrimian clearly put an emphasis on Armenia rather than Armenians; instead of talking about the enlightenment and productivity of a people, he emphasized the productivity and enlightenment of the land. Throughout his writings, Khrimian showed how Shamiram, Khushush Hatun, Davit Anhaght, and other kings and queens, princes and princesses in Armenia had built churches, aqueducts, and schools to benefit Armenia and its people. The names of the donors were often recognized throughout the journal, with the aim of raising consciousness among Armenians of the need to contribute, financially or through other deeds, to various Armenian initiatives for the enlightenment of Armenians and progress in Armenia. He emphasized the selfless need to contribute because of the Armenian notables who made use of the lands of the Armenian Church and benefited from the work of the peasants without giving back to the community. 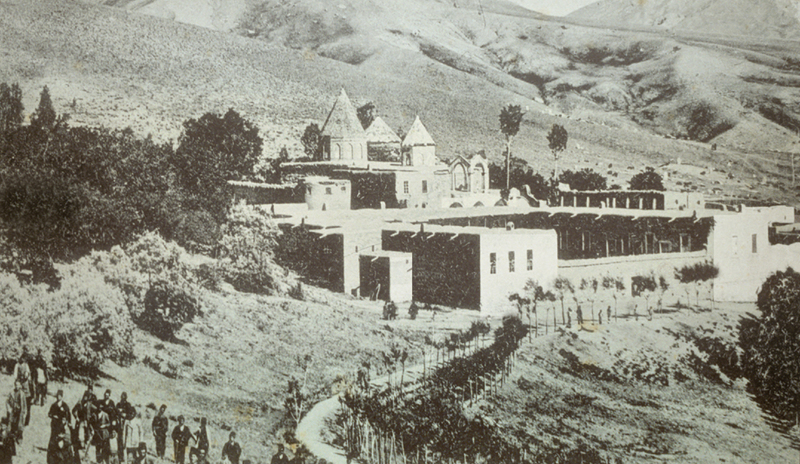 While the patriarchate had not yet designed a system to raise and redirect money for the maintenance of its properties, or the establishment of schools and other public services, Armenians around the empire had to organize and invest their money, knowledge, and time for the benefit of the nation. This had to happen especially in the long-neglected territory where a demographically denser Armenian population was living, and where the majority of the Armenian Church properties were. Khrimian had to revive this long-neglected Armenia, and make Armenians everywhere believe that there was a possibility to revive and reform this territory. To do this, however, he needed to show that progress, especially in agriculture and education, was possible on this land. He did this not only by building a school and publishing a journal in Varag, but also by connecting a prosperous past to the land of Armenia. Khrimian encouraged reforms that corresponded to the aims of the Armenian Patriarchate, which in turn corresponded to the centralization aims of the Sublime Porte. Yet, Khrimian needed to rely on a territorial patriotism to attract the richer and more educated Armenians who lived outside of Armenia to invest in Armenia. For this, he used what was in style in the 19th century—that is, topography, antiquity, as well as Biblical references. At this stage the territoriality of the Armenian nation did not signify a desire for an independent state. Khrimian was attempting to contribute to a new system that would assist the preservation and progress of the Armenian nation within the governance of the Ottoman Empire, as well as Qajar Iran and the Russian Empire. By 1863, a more concrete system of governance would be adopted with the National Constitution for (Ottoman) Armenians and the establishment of the National Assembly of Armenians in Constantinople. Still, much work needed to be done to implement the constitution. 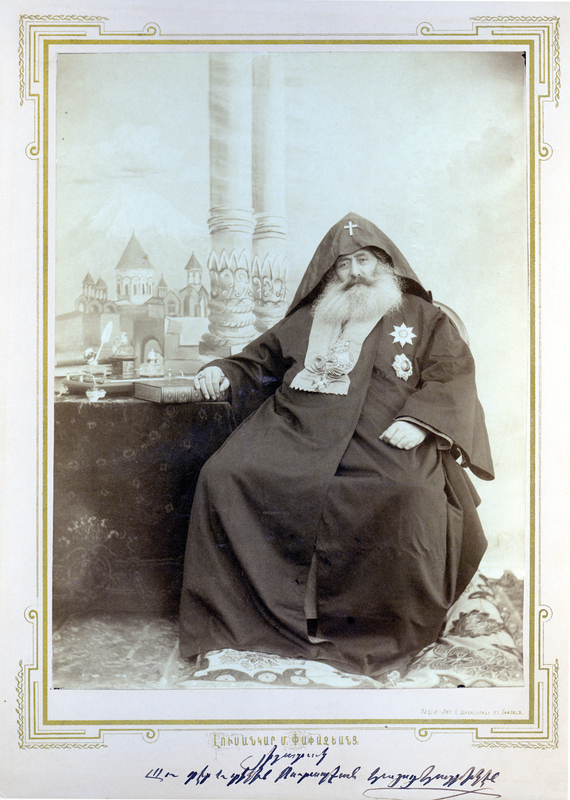 At a later stage, when Khrimian was patriarch of the Armenian Church in Constantinople from 1869 to 1873, he rather unsuccessfully, within the National Assembly, insisted on paying more attention to the socio-political and economic conditions of Armenians in Armenia. But the creation of this institutional link, whereby Armenians in the eastern vilayets had to be represented in the National Assembly, contributed to the elevation of the importance of Armenia. Different geopolitical processes, and foreign and internal impulses, contributed to the territorialization of the Armenian national imagination, which was a step forward in the beginning of a national movement. In this article, however, through a microcosmic example, I have attempted to show how Ottoman reform, which translated into reforms within the Armenian millet, stimulated the production of a literature that was strongly patriotic. Miroslav Hroch argues that among other processes, conflict between people of different classes who are also divided along national lines must exist for the emergence of a national movement. In the mid-19th century, material conflicts among Armenians, Kurds, and resettled Muslims did exist and intensified in the eastern vilayets, particularly in regards to loss of agricultural lands, homes, and sites of worship. As a result, Khrimian may have perceived a stronger urgency to implement reforms. Artzvi Vaspurakan was written for Armenians; the reforms he suggested were directed to Armenians and concentrated on what could be done from within the transregional Armenian nation, rather than against the Ottoman state or Muslims. Thus, institutional reforms and the subsequent internal conflicts among Armenians contributed to advancing territoriality in the Armenian imagination, which in turn furnished a national movement. Yet, how and why was it possible, in the Ottoman Empire of the 19th century, for someone like Khrimian to cultivate such strong territorial notions of the nation, and at the same time be committed to reforms that contributed to the centralization of Ottoman governance? This is a question that will remain to be answered in future works. I would like to thank Prof. Kathryn Babayan for her guidance and suggestions for the initial draft of this article. I use the term fatherland, as opposed to homeland or motherland, to have the closest equivalent to the Armenian terms used in the 19th century, which were hayrenik or hayreni ashkharh. “Imagined community” is a term coined by Benedict Anderson, with which he identifies the modern nation, arguing that people within the rather large community of a nation cannot know each other, and instead imagine that they share commonalities with all other members of that community. This imagination increased largely through the mass production of the press. Benedict Anderson, Imagined Communities: Reflections on the Origin and Spread of Nationalism (London: Verso, 1991). Vaspurakan, meaning “land of nobles,” is an Armenian geographical designation, a region roughly southeast of Lake Van, and the name of the 10th-century Armenian Kingdom. For Russian and European influences, see Lisa Khachaturian, Cultivating Nationhood in Imperial Russia: The Periodical Press and the Formation of a Modern Armenian Identity (New Brunswick, N.J.: Transaction Publishers, 2009); “Populism, Nationalism, and Marxism among Russia’s Armenians,” in Ronald G. Suny, Looking Towards Ararat (Indiana University Press: Bloomington and Indianapolis, 1993); Chapter 4 and 5 in Razmik Panossian, The Armenians: From Kings and Priests to Merchants and Commissars (New York: Columbia University Press, 2006). Gerard J. Libaridian, “The Ideology of Armenian Liberation: The Development of Armenian Political Thought Before the Revolutionary Movement (1639-1885)” Ph.D. Thesis (Los Angeles: University of California, 1987) pp. 111-112. Vartan Artinian, The Armenian Constitutional System in the Ottoman Empire (1839-1863): A Study of Its Historical Development (Istanbul, 1988) p. 53. Fuat Dündar, “Empire of Taxonomy: Ethnic and Religious Identities in the Ottoman Surveys and Censuses” Middle Eastern Studies (forthcoming). Millet is a non-Muslim religious community recognized by the Sublime Porte. Throughout the rest of the paper, I will mostly use the English equivalents of geographic designations that Khrimian and the other authors of the journal used, as opposed to the Ottoman administrative terms based on sanjaks and vilayets. The absence of administratively based Ottoman geographic names also reflects the rather little mention of the Ottoman state throughout the journal, directly or indirectly, whether local or of the capital. At various points throughout the journal, Khrimian also refers to Constantinople as Byzantium. In 1847, the Ottoman army was attempting to crush the Bedr Khan revolt that was taking place in the region of Van. According to Ormanian, the Armenian Patriarchate, in its support of the Ottoman repression of the Bedr Khan revolt, asked the local dioceses in Van, Bitlis/Baghesh, Palu, and Diyarbakir/Tigranakert to have the people help the Ottoman army. As a result, Armenian military units were formed and fought against Bedr Khan’s army (Maghakia Ormanian, Ազգապատում [Azgapatum] (Sevan: Beirut, 1961) p. 2596). Khrimian likely tried to avoid being recruited in one of these military units. At the same time, the successful suppression of the Bedr Khan revolt destroyed the last of the Kurdish emirates, which, with the shifting of power-holders, led to social transformations in the region. Throughout this paper I also do not use the term “Armenia” to describe a geographic place with distinct boundaries; the way Armenia was imagined and represented is important here, and at this point in time it was not represented with distinct boundaries. Roughly, however, it embodied the areas where Armenian kingdoms had formerly existed, and that were now under Russian or Ottoman rule. 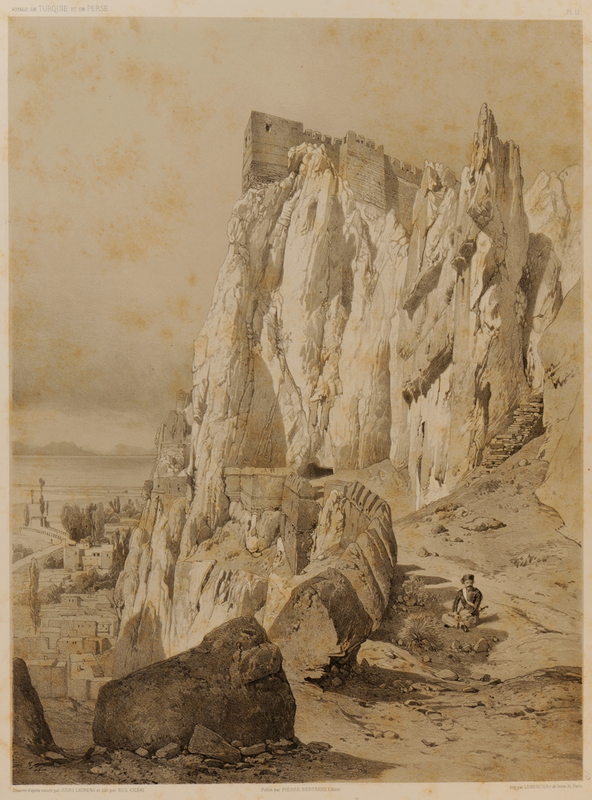 Although Khrimian discussed Cilicia, where an Armenian Kingdom had existed between the 11th and 14th centuries, he largely depicted Cilicia as a place of escape for Armenians, and not their fatherland (Artzvi Vaspurakan, Oct., issue 5, 1855). Rubina Peroomian, “The Heritage of Van Provincial Literature” in Richard G. Hovannisian Ed., Armenian Van/Vaspurakan (Mazda Publishers, Inc.: Costa Mesa, Calif., 2000) pp. 135-136. Emma A. Kostandyan, Մկրտիչ Խրիմեան. հասարակական-քաղաքական գործունէութիւնը [Mkrtitch Khrimian: Hasarakakan-kaghakakan Gortzuneutyune] (Yerevan: "Zangak-97" Hrat, 2000) pp. 44-47. In this case, the Sublime Porte refers to the central administration of the Ottoman state. Kostandyan, Mkrtitch Khrimian, pp. 44-47, 59, 62-63. The first issues were published in 1855 in Constantinople, and in 1856 a few issues were published in Üsküdar, located in the Asian part of modern-day Istanbul. No issues were published in 1857. Emma Kostandyan, Գարեգին Սրուանձտեանց (Կեանքը եւ գործունէութիւնը) [Garegin Srvandztiants: Kyanke yev Gortzuneutyune] (Haykakan SSH GA hratarakchutyun: Yerevan, 1979) p. 25. After the 1877-1878 Russo-Ottoman War, Patriarch Nerses Vardapetian sent Khrimian to the eastern provinces to collect statistical data and to preach to people who had found themselves in dire conditions after the war. Khrimian served as prelate in numerous towns, including Akn/Eğin/Kemaliye, Bitlis, Harput/Kharberd, and Trabzon. In 1888, he was called back to Constantinople, never to return to his homeland. The Sublime Porte had become increasingly dubious of Srvandztiants’s works and did not allow the patriarch to ordain him prelate in any of the provinces in the eastern regions of the Ottoman Empire. In 1892, Bishop Garegin Srvandztiants passed away due to poor health (Kostandyan, Srvandztiants, pp. 31-33). Artzvi Vaspurakan, issue 6, pp. 150-155 and issue 7, pp. 184-186, 1858. Kostandyan, Mkrtitch Khrimian, p. 81. Shamakh was in the Russian Empire, present-day Azerbaijan. Kostandyan, Mkrtitch Khrimian, pp. 64-65. As a result only two issues of Artzvi Vaspurakan were published in 1860 (Kostandyan, Mkrtitch Khrimian, p. 84). Armenian merchants in Tiflis at this time were rather well off. Artemis Leontis, Topographies of Hellenism: Mapping the Homeland (Cornell University Press: Ithaca and London, 1995) p. 3. One becomes interested in lieux de mémoire, “where memory crystallizes and secrets itself,” “at a particular historical moment, a turning point where consciousness of a break with the past is bound up with the sense that memory has been torn—but torn in such a way as to pose the problem of the embodiment of memory in certain sites where a sense of historical continuity persists. There are lieux de mémoire, sites of memory, because there are no longer milieux de mémoire, real environments of memory.” (Pierre Nora, “Between Memory and History: Les Lieux de Mémoire,” trans. Marc Roudebush, Representation 26 (Spring 1989) pp. 7-24. Bakhtin, M.M., The Dialogic Imagination, trans. by Caryl Emerson and Michael Holquist (Austin: University of Texas Press, 1981) p. 147. As quoted by Khrimian in Artzvi Vaspurakan July, issue 7, 1858: p. 178. Translation from Movses, Khorenatsi (Moses Khorenatsi, History of the Armenians, trans. Robert W. Thomson. Cambridge, Mass: Harvard University Press, 1978) p. 98. Artzvi Vaspurakan (Vantosp) Feb., issue 2, 1859: p. 49. Artzvi Vaspurakan (Vantosp) Jul., issue 7, 1858: p. 179. Shamiram was also the name of a town on the western coast of Lake Van, which Khrimian did not mention, since he only visited the eastern coast of the lake. Artzvi Vaspurakan (Vantosp) Aug., issue 8, 1858: p. 215. Artzvi Vaspurakan (Vantosp) Sep., issue 9, 1859: p. 236. Artzvi Vaspurakan (Vantosp) Feb., issue 2, 1859: p. 40. Artzvi Vaspurakan (Vantosp) Jul., issue 7, 1858: p. 180. Artzvi Vaspurakan (Vantosp) Jul., issue 7, 1858: pp. 182-183. Gagik Artzruni was a 9th-10th century Armenian king. Artzvi Vaspurakan (Vantosp) Aug., issue 8, 1858: p. 216. Artzvi Vaspurakan (Vantosp) Jan., issue 1, 1858: p. 10. Artzvi Vaspurakan (Constantinople) Jul., issue 2, 1855: pp. 29-30. Artzvi Vaspurakan (Vantosp) May, issue 5, 1858: p. 135. Artzvi Vaspurakan (Vantosp) March, issue 3, 1859: p. 62. Artzvi Vaspurakan (Vantosp) Jan., issue 1, 1858: p. 19. Kostandyan, Mkrtitch Khrimian, p. 60. The Monastery of St. Karapet is now located in the village of Çengeli in the province of Mush. Kostandyan, Garegin Srvandztiants, pp. 26-27. Hayk Ajemian, Հայոց Հայրիկ [Hayots Hayrik] (Tawriz: Atrpatakani Hayots Temakan Tparan, 1929) pp. 274-275. Kostandyan, Mkrtitch Khrimian, p. 61. For example, Persian Xerxes King, Argeos King, who Khrimian wrote was of unknown origin (Aug., issue 8, 1858: p. 216), Persian Shapuh King (Aug., issue 7, 1858: p. 181), Persian Tahmazghuly Khan (Feb., issue 2, 1859: p. 41), Unnamed Shah (Aug., 1859: p. 209). According to Պատմութիւն Առաքել վարդապետի Դաւրիժեցվոյ [Patmutyun Arakel vardapeti Davrizhetsvo] (History of vardapet Arakel Davrizhetsi), Tahmazghuly “was a member of the Georgian royal family, the brother of Atabeg, who had been sent to the Persian royal family as a hostage, had been brought up by them, and had renounced his faith.” Agop J. Hacikyan, Ed., Gabriel Basmajian, Edward S. Franchuk, and Nourhan Ouzounian. The Heritage of Armenian Literature: From the Sixth to the Eighteenth Century, Vol. II. (Wayne State University Press: Detroit, 2000) p. 815. Seemingly Tahmazghuly was leading conquests in service to the Persian shah. Artzvi Vaspurakan (Vantosp) Aug., issue 8, 1859: p. 209. Vardan Mamikonian is a popular fifth-century figure that has been sanctified by the Armenian Church. Artzvi Vaspurakan (Vantosp) Aug., issue 8, 1858: p. 211. Kostandyan, Mkrtitch Khrimian, p. 46. Artzvi Vaspurakan (Constantinople) Jul., issue 2, 1855: p. 29. Sofia means wisdom in Greek. Artzvi Vaspurakan (Vantosp) Apr., issue 4, 1858: pp. 97-98. Artzvi Vaspurakan (Vantosp) Dec., issue 12, 1858: pp. 309-312. Miroslav Hroch, Social Preconditions of National Revival in Europe: A Comparative Analysis of the Social Composition of Patriotic Groups Among the Smaller European Nations (Columbia University Press: New York, 2000) p. 185.